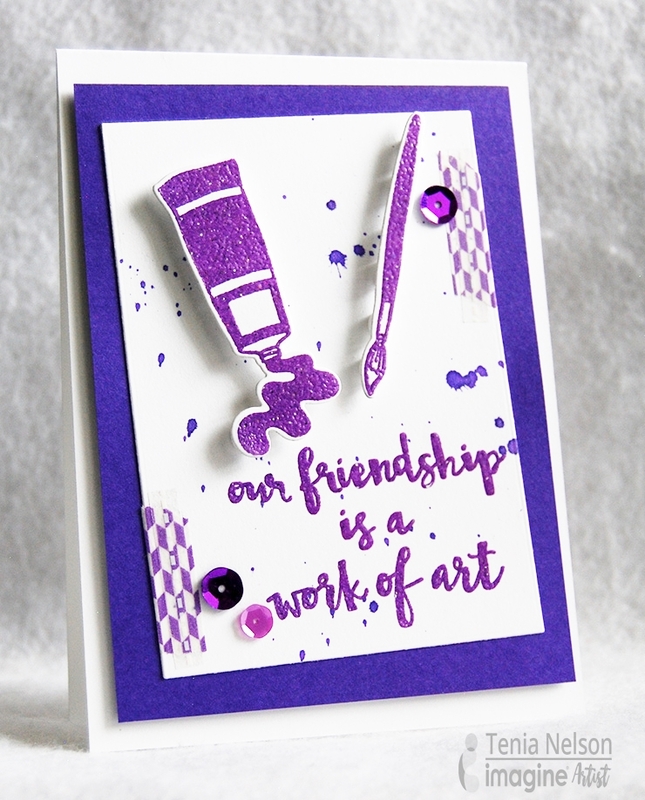 Tenia here from Jazzy Paper Designs with a heart warming friendship card using Aubergine as my main color and of course made with Fireworks Craft Spray and VersaMark. This would be a nice card for an artist friend and could be made in their favorite color! Die cut white panel and cut colored cardstock. 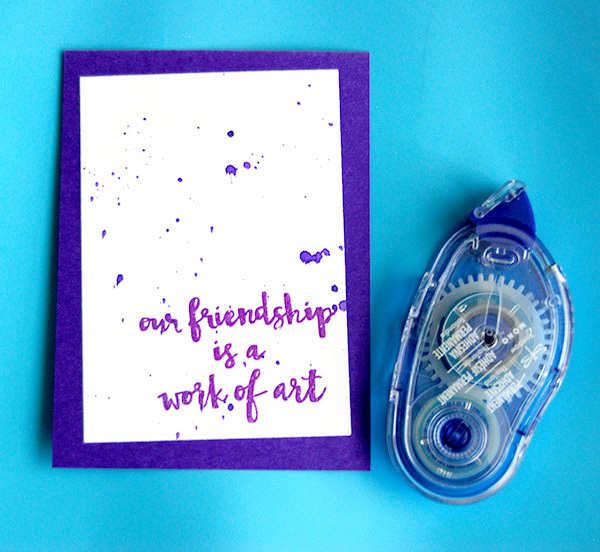 Stamp and heat emboss “our friendship is a work of art” sentiment from Reverse Confetti stamps onto white cardstock. 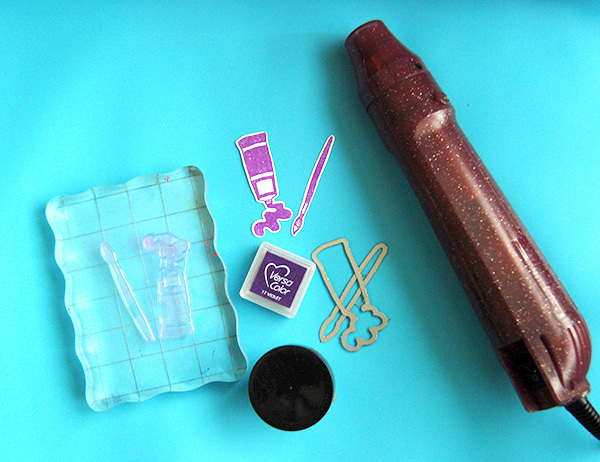 Add splatter using Fireworks Shimmery Craft Spray in Grape Jelly. Adhere white panel onto Aubergine panel with a slight tilt. 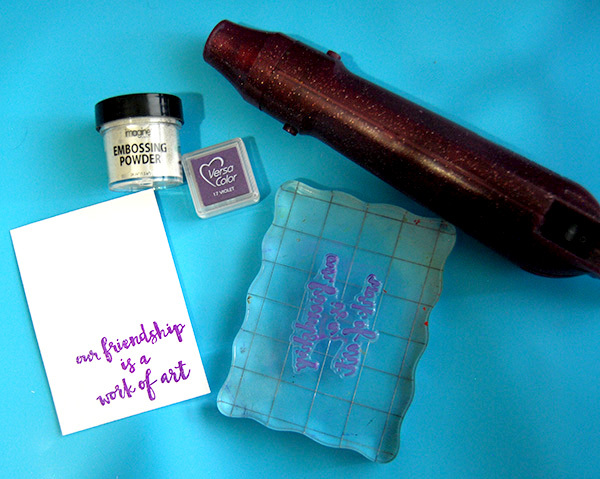 Stamp, heat emboss and die cut the matching paintbrush and artist paint images. 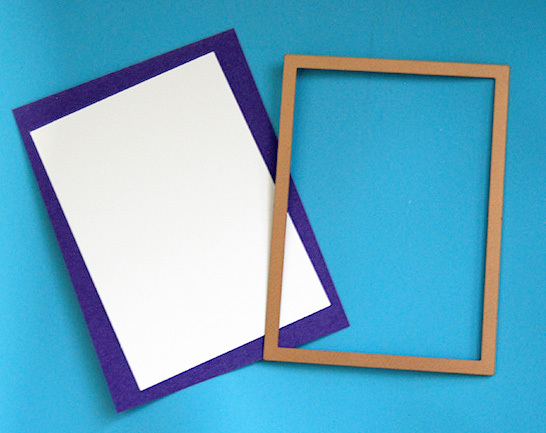 Adhere paintbrush and artist paint images onto a panel with foam tape. 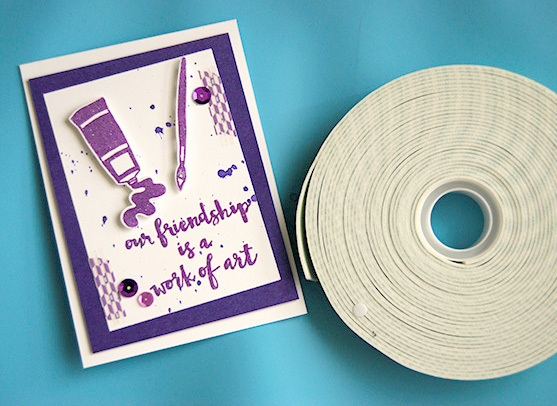 Add matching purple embellishments such as sequins and washi tape to the front panel and attach entire piece to a card base. Thanks for stopping by and if you liked this tutorial then please share on Facebook or leave a comment below. Have a great day!!! This entry was posted in Beginner, Cards, DIFFICULTY LEVEL, DIY, Embossing, INSPIRATION, PROJECTS, Tenia Renee Nelson and tagged cardmaking, Die Cutting, DIY, DIY Inspiration, Fireworks Spray, Handmade, VersaColor. Bookmark the permalink. Wow !! That’s a great card ! !